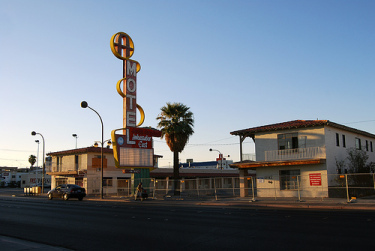 Word comes from Friends of Classic Las Vegas supporters Brian Paco Alvarez and Allen Sandquist that the Ambassador East Motel has been demolished. The motel was built and opened in 1952 as the Ambassador. It was the very popular mid-century weeping mortar motif. 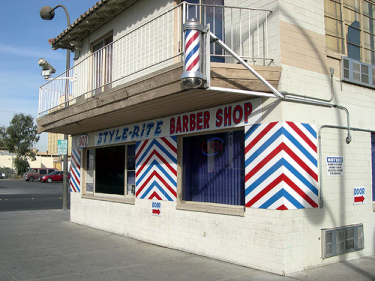 For years there was a barbershop on the ground floor. Later, Jackie Gaughan bought the property along with some other downtown motels and renamed it the Jackie Gaughan's Ambassador East Motel. The motel finally closed in 1996. Two years ago, the Tamares Group bought all of Jackie Gaughan's downtown holdings except the El Cortez. Earlier this summer while Allen and I were picture scouting around downtown we noticed that a fence had gone up around the property. Less than a month ago, we discovered that a notice of special hearing was on that chain link fence. All that remains today is the sign with Jackie Gaughan's name rubbed out. 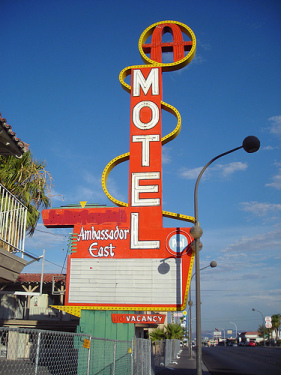 The Ambassador East was just one of a collection of Pre- and Post War Motels that dot lower Fremont Street. 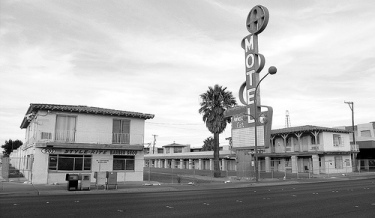 These wonderful, classic motels harken back to the days when the only way to get to Downtown from Boulder City (and from Arizona) was to come across Boulder Highway and come up Fremont Street. The Gables, the Valley Motel, the Sky View, the Sky Ranch, the Safari, the Capri and all the others are one of the last large collections of the way Americans use to travel. Their continued destruction for larger and more modern convenience only serves to remind everyone that Las Vegas' reputation for destroying its past is an accurate statement. Those motels could be restored and marketed to the crowds that travel across Route 66 every year soaking up the history of the Mother Road. Instead of helping preserve our collective past, we are betting that another mixed-use condo tower will be built on the site of the Ambassador East. It will probably be faux Art Deco and be part of the growing trend to make Downtown look like South Beach, Miami. 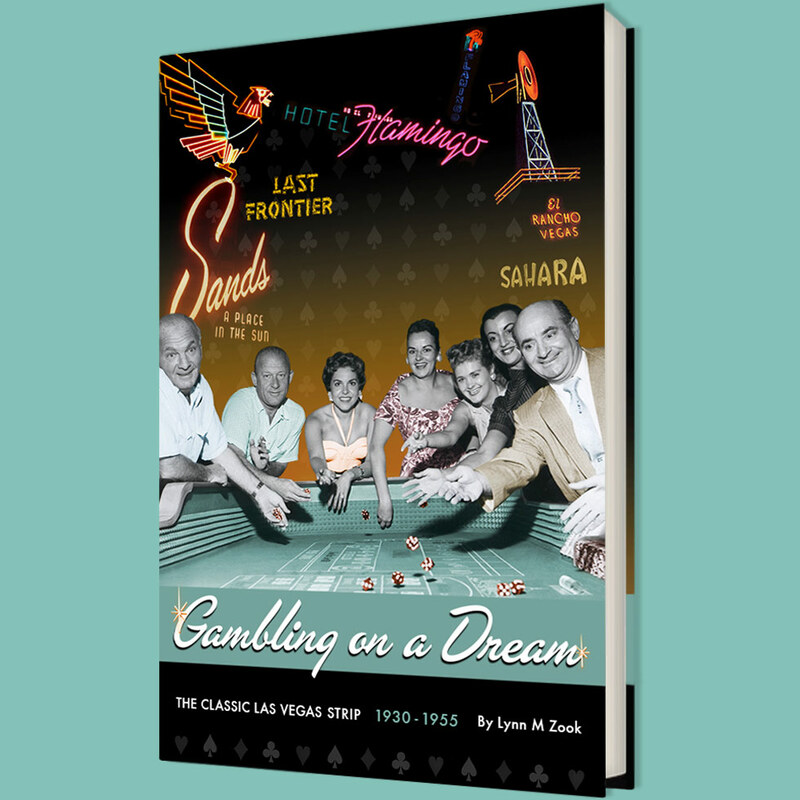 Wouldn't it be nice if Downtown was allowed to look like classic Las Vegas? Special thanks to RoadsidePictures for allowing us to use these photos.